Bookmark this article if you want to know what's up at Gordon's Park. 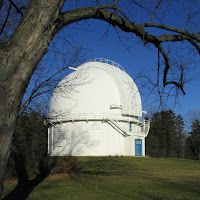 Byron Wilfert, the Member of Parliament representing Richmond Hill, is sponsoring a petition "Protect the David Dunlap Observatory Lands" to get the David Dunlap Observatory (DDO) lands designated as a National Historic Site. This is the beginning of a process that will hopefully lead to designation of the lands. The lands contain more than the Observatory and are also of historical and environmental interest. There are no particular restrictions on who can sign the petition such as age or location; however, the more people from Richmond Hill and Canada sign the better. The petition is hosted by petitiononline.com. Privacy note: All of the information you provide will be public except for your email address which can be set as (1) private - the default, (2) available to the Petition Author, and (3) public. I'd recommend either option (2) or (1). At a minimum you must provide your name and email to sign the petition. All other information is optional. While I didn't provide comments or a phone number, I did give my address as my city and I made my email address available to the petition author. A confirmation notification will be sent to the email address you provide. A new Carnival of Space #117 is up over at Simostronomy. Lot's of great articles including remembering the X-15 the first reusable space ship, texting aliens, Analemmas and the Equation of Time, and just what alien life might be like are some of the topics covered. 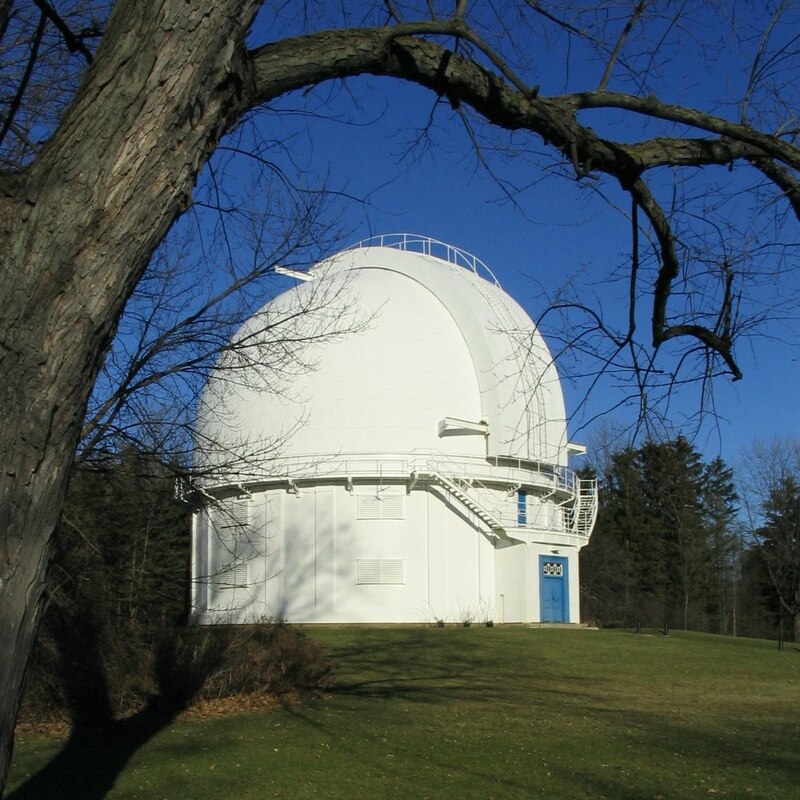 Astronomers in North America have been fortunate to have Clear Sky Charts for weather forecasts available. While astronomers elsewhere may have felt they've been left out there are a couple of services for them too. Check out Ian Musgrave's at Astroblog's report about two clear sky like services called Skippy Sky and 7 timer (pronounced tri-timer) that provide weather forecasts for astronomers down under and beyond. Skippy Sky provides visual representations of forecasts based on large regions including Austrailia, New Zealand, Europe, North America, the Canary Islands, and Cerro Tololo (Chile). 7timer provides parameterized Astroweather Panels or Apanels for many locations around the globe by name or by latitude and longitude. Unlike Clear Sky Charts these are generated on the fly. Both are based on a global numerical weather model known as GFS or Global Forescast System run by the NOAA (National Oceanic and Atmosphere Administration) NCEP (National Centers for Environmental Prediction) program. Incidentally, GFS data drives a number of weather forecasting services like Accuweather and The Weather Channel among others. Clear Sky Charts use the more granular data available from Environment Canada and can provide data for more specific locations in the geography where they overlap. Carnival returns in this issue hosted by New Frontier News. NFN is a new space blog and a Canadian one at that- check it out! Strange Planetary Alignment and all I got was a T-shirt. This summer, a good friend of mine took his familiy on a vacatation through the south west. Along the way they stopped in at the Lowell Observatory in Flagstaff. They returned with some great memories and a few gifts including this wonderful Pluto T-shirt. It shows the outer planets in white with the dwarf planets Ceres, Pluto, and Eris in blue. But wait! What do my eyes behold. A strange planetary alignment. Is it just artistic license or could it be a harbinger of 2012? Are the very discoverers of Pluto in on some grand doomsday conspiracy? On closer inspection, something else seemed wrong too. But what could it be? A quick check of the JPL Orbit simulator for Eris shows us a different picture. Not only is there no planetary alignment in 2012, but Pluto and Eris are inclined along very different axes. Artistic license or conspiracy aside, I still love the shirt. It's a pitty they don't seem to be available online. There's a messy new bunch of kids in the solar system. Half comet and half asteroid they orbit in the main asteroid belt and leave a dusty gassy wake. First discovered in 1996, the big question was if this was a comet that had been man handled around enough to fall into a very circular looking low inclination orbit? Or was this an icy asteroid that had formed in place. Now it turns we have the answer and there may be as many as 100 of these active thingamys. Henry Hsieh who has been leading the investigative charge is calling them Main Belt Comets (MBCs). It's all very descriptive, but I prefer the catchier Iceteroids! Click on the image above to check out the orbit of the 1st Iceteroid. Another week and another Carnival of Space. Read the latest edition here hosted at Cheap Astronomy.